Dogtown Dance Theatre is proud to present the 6th annual Richmond Dance Festival, April 26 through May 11, 2019. This three-weekend festival features local and national dance artists, as well as international dance film artists in the heart of historic Manchester in Richmond, VA. The festival includes live performances, as well as screenings of dance on film. Richmond Dance Festival showcases the work of 19 choreographers and 9 film artists. Thanks to continued additional funding, Dogtown is delighted to bring RDF Next Generation back for its second year; an exciting element of Richmond Dance Festival (RDF). RDF Next Generation features the best and brightest youth dance and choreography talent in the area in a special matinee performance on Saturday, May 4. RDF Next Generation supports and facilitates the brilliant youth talent that will shape the future of Richmond dance. Richmond Dance Festival is one of the main programming initiatives of Dogtown Dance Theatre, supporting the organization’s mission to be a home for all independent artists. 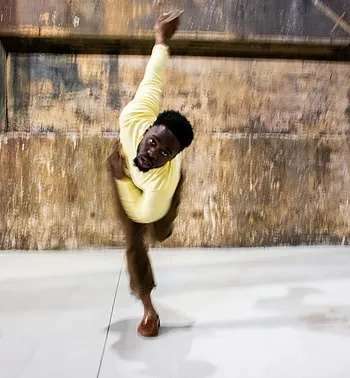 RDF supports established and rising choreographers and dance film artists, providing them with a unique opportunity to present their work to a live audience. This festival gives independent artists the ability to avoid the typical obstacles to performance, such as production and marketing costs, while offering the privileges of performing in front of a diverse audience from all parts of the Richmond community.